2 images. 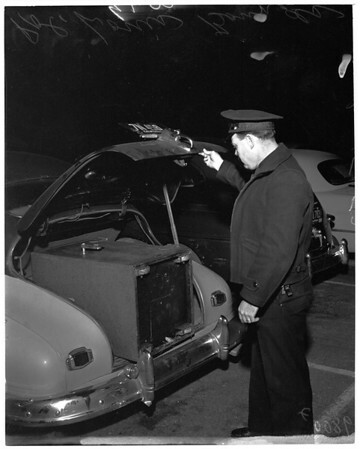 Safe stolen by two men who were arrested at scene by passing police, 15 January 1953. Louis Bounds (Officer).